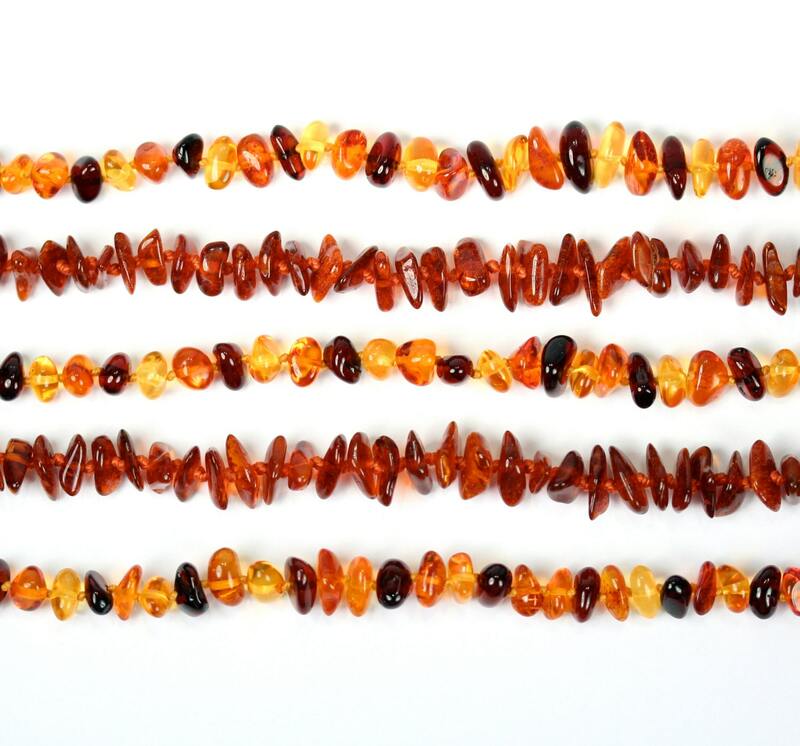 A hand knotted strand of genuine baltic amber. 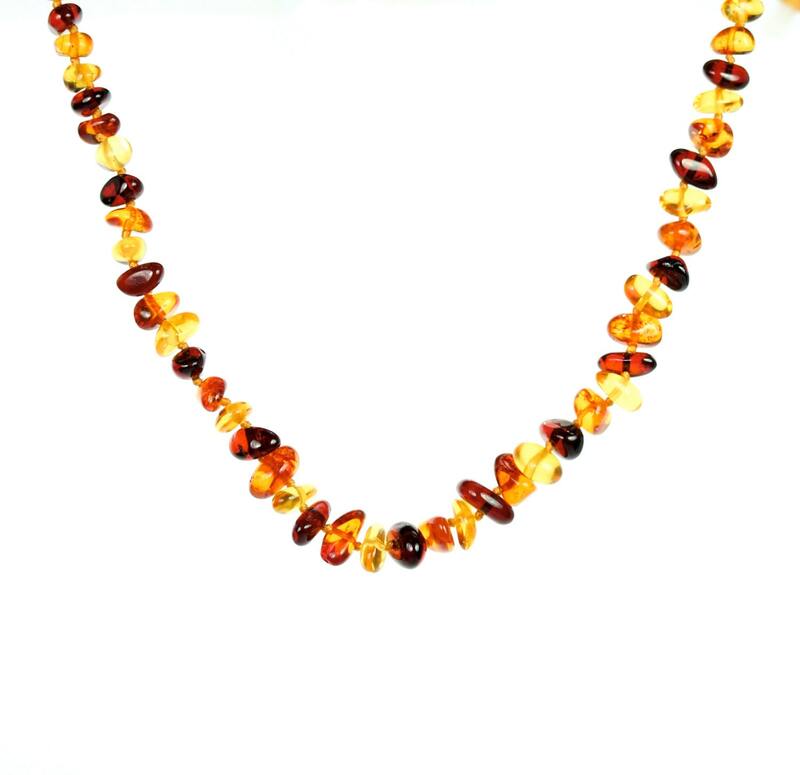 These necklaces measure approximately 13-14 inches in length. This necklace is finished with a clasp made with a plastic screw as shown in the third photo. 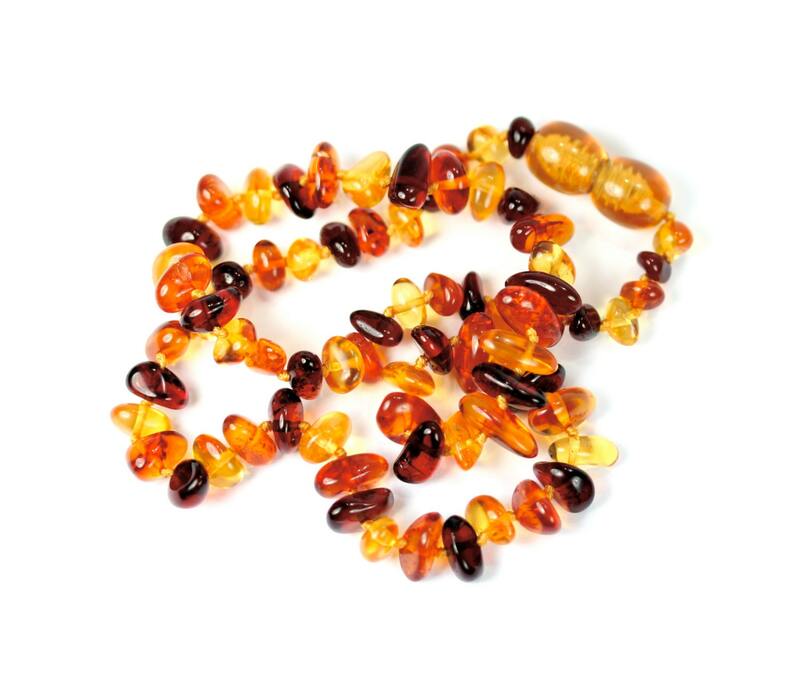 Baltic amber contains a natural analgesic. *** Please use caution and supervise your child at all times while wearing the necklace. 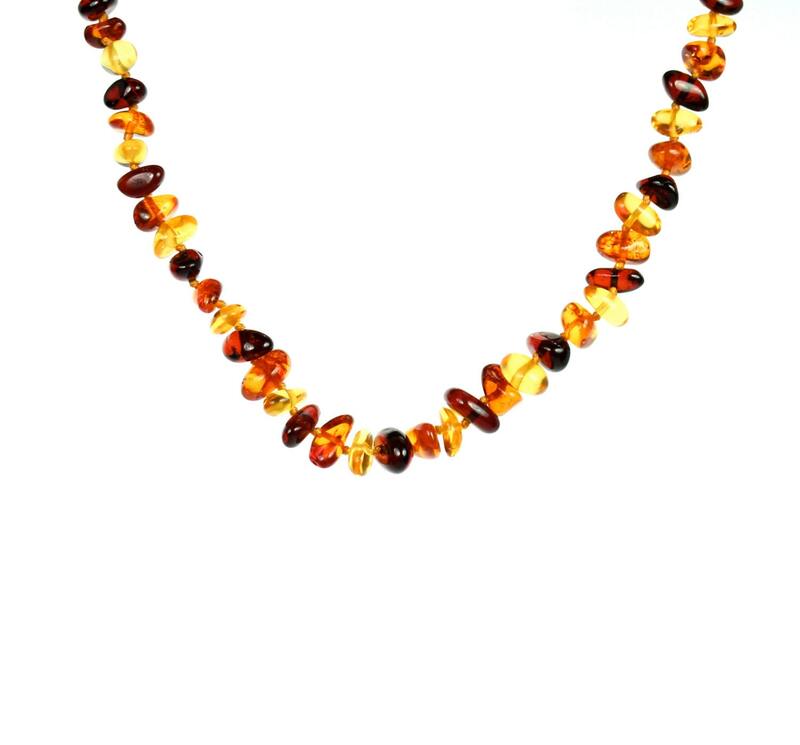 Do not ever allow a child to chew on the beads or put the beads in the babies mouth. Do not ever allow a child to wear any forms of jewelry without constant supervision. Please make sure to read all of my shops policies before purchasing or allowing a child to wear this necklace.